Seas around the British Isles reach their highest during the month of August. The surface sea temperature offshore is unlikely to reach the magic 'toe test' temperature of 20°C. However, on sandy, shallow beaches and in estuaries, temperatures at low tide have been measured in hot summers up to 22°C. Rock pools high up on the shore could even heat up to 26°C, but they will be devoid of fish and crabs and the mobile forms of shore life. The average sea surface temperature in the English Channel during August is only 17°C. In the northern North Sea the sea will only reach 14°C. 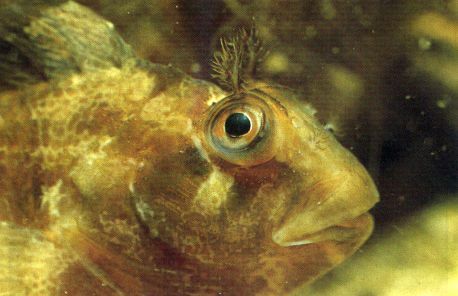 These temperatures are important to the aquarist/rockpooler because of the narrow range of sea temperatures in which fish and other marine life can live. For half the animals kept in home aquaria, a cooler is necessary to keep the water temperature down to 21°C and below. 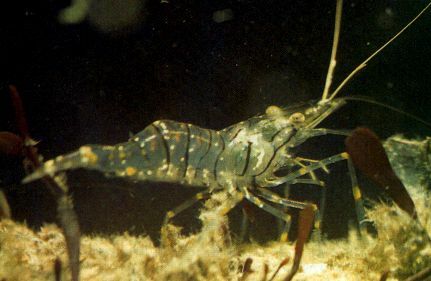 Small prawns are abundant in the pools in the south during August. This small species is Palaemon elegans. Prawns are sometimes known as 'buntings'. Bucket and spades are the standard seaside holiday fare. Do not load yourself up with too much equipment because somebody has to cart all the stuff around. White buckets are recommended because crabs and their ilk can be seen easily against a white background. Brewing pails with lids, so the fish and crabs do not escape, are the most popular containers. The butterfly nets so often seen on sale at seaside stalls are a complete waste of time: they are far too flimsy for pool dipping. A large net is not an essential, as crabs and other animals can be picked up by a careful hand. A medium-sized aquarium net (10 cm) is the most useful choice on most shores. When clambering over the rocks it helps to have at least one hand free. The small net can fit in the bucket. Invicta Toys and Games Ltd produce a 'mobile laboratory' for examination of the small animals of ponds, as well as insects, etc., on land. It is supplied by Hogg Laboratory Supplies Ltd for £11.40 plus postage, and I received one of these useful tools to see if it was suitable for rockpooling on the shore. 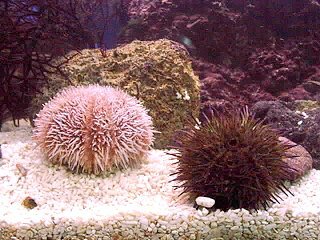 (1) The small creatures should not be kept in the container of seawater for a period of longer than 15 minutes. If kept for any longer they may suffocate because of the lack of oxygen in the water. (2) All creatures should be returned in exactly the same place as they were found on the shore. The animals will perish if returned under different rocks or into strange pools. (3) All rocks should also be replaced exactly where you found them and the same way up. It is an ideal piece of equipment for the child that shown a serious interest in the natural world. Parents have two problems. Firstly, the dangers on the shore should be recognised. Without scaring the youngsters you have to watch out for the incoming tide on some shores which can rush in and cut off children engrossed in examining the fascinating creatures under rocks and in the pools. I have always been impressed by the ability of primary school children, with their low centre of balance, to scramble over slippery seaweed covered rocks, to avoid the sharp barnacle-encrusted boulders, whilst the adults slither around and generally put their foot in muddy pools. However, young children should always be watched the consequences of a fall can be serious. The second problem is how to answer all the queries that this mysterious world is likely to pose. Children have the ability to ask all those pertinent questions that are awkward to put into words that are understandable. The recommended way to answer all these questions is to buy one of the many books, or study packs, that are available from book shops or wildlife centres. Expect to pay between £5 and £10 for a book which will introduce the youngster to the world of the seashore, and enable the parent and older children to put a name to the commoner of the animals and seaweeds between the tides. Although I think that some books are better than the others, just about all the books will help appreciate the world of small marine life. There are many small guides that are also excellent. Identification Guide for Adults Collins Pocket Guide to the Seashore of Britain & Northern Europe, by Peter Hayward. Tony Nelson-Smith, Chris Shields. Illustrations by the Wildlife Art agency. Harper Collins. 1996. ISBN 0 002199556. Price: £12.99 and Special Offers. Study Packs Marine Environmental Education Resource Pack. Devon Wildlife Trust, 1997 Tel: 01392 279244 Richard White (Conservation Officer). This study pack is specially designed for teachers wishing to take groups of children on activity adventures down to the seashore. It is ideal for first time explorers, but is not a comprehensive guide to the animals. This pack has a different emphasis on the conservation issues to do with the marine environment. For for people going out on boats. The Marine Conservation Society also produce an information pack called Ocean Vigil.